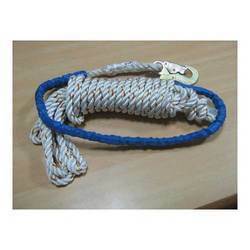 We are a leading Manufacturer of magna range harnesses, guided type fall arresters on rigid anchorage line, anchorage points, polyamide anchorage line and pn 02 belts from Mumbai, India. Comfort : Comes with extra padding and cushioning for a comfortable all day use. 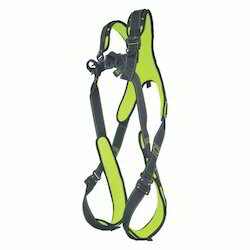 Design : Designed with the unique X-Back which lets the harness straps tangle free. 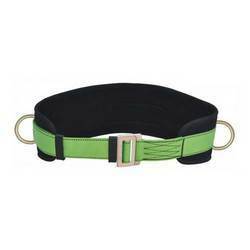 Looks : Catchy colors of Green and Black along with the fluroscent yellow net which enhance the looks of the harness and provides to you the most fashionable and trendy appreance while at work. Ergonomics : Construction of the harness using the highest quality of components to give a light weight feel and an ultimate experience. 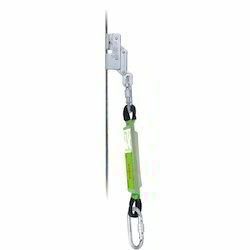 Stainless Steel Movable Type Fall Arrester With Energy Absorber And On Steel Cable Anchorage line With Antigravity Locking Mechanism. Anchorage line of steel cable dia 8mm. 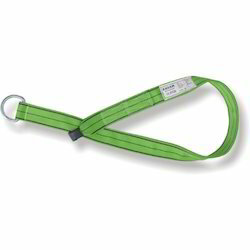 Available in lengths of 4m to 60m. Optimum Width Comfort Pad To Provide Sufficient Lumbar Support. Available In Sizes: Medium, Large, Extra Large. Rings for tool holders, bolt bags, etc. Looking for Personal Protective Equipments ?